Parliamentary analytical office assessed the ministries’ efficiency in how they actually achieve what they have planned. Leaders and outsiders are named as well as possible ways to improve the efficiency of the budget money use. Ukrainian ministries demonstrate 32 per cent efficiency based on the figures they set for themselves as a plan. These are the results of the efficiency evaluation that the 18 ministries and the Cabinet of Ministers were subject to, based on their work in 2016. To assess the efficiency experts compared the figures that the ministry was planning to achieve using the money allocated from the budget, and the actual figures at the end of the year. “On average out of the 100 per cent of the planned achievements only 32 per cent of figures were completed in full. Rest of the figures are either underachieved or exceeded. Those money-related ones as a rule are exceeded. 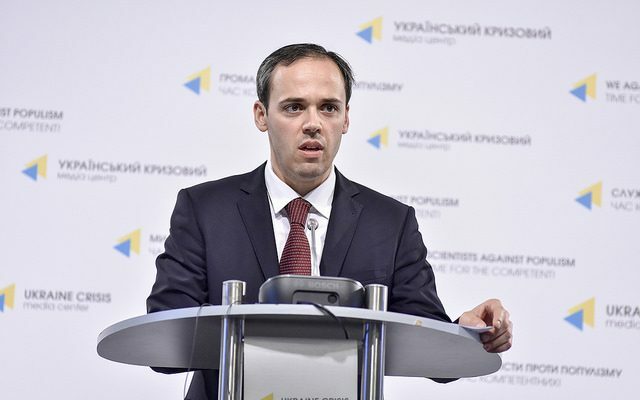 Those that are not are underachieved,” said Viktor Maziarchuk, head of the Office for financial and economic analysis at the Ukrainian Parliament (Verkhovna Rada) at a press-briefing at Ukraine Crisis Media Center. The leaders are the Ministries of Education, Foreign Affairs, Information Policy, and Internal Affairs. “These ministries achieve most of the planned figures and have least difference between the actual data and the planned one,” explained Maziarchuk. The Ministry for Regional Development, Construction and Housing as well as the Healthcare Ministry turned to be outsiders of the year 2016. In general, in 90 per cent of the budget programs ministries do not reach the figures they’ve planned. It happens because the planning is not efficient and the monitoring on the part of the Ministry of Finance is missing. “There are several reasons for that. Firstly, quality budget planning is not in place. The situation may improve after efficiency figures are reconsidered. They are so far from the quality standards that they cannot be considered achievements at all. The Ministry of Finance has to reconsider the methodological basis. Secondly, the Ministry of Finance is not monitoring efficiency of the ministries’ budget programs. Department that would be directly in charge of this work is not doing it,” emphasized the head of the Office for financial and economic analysis at the Verkhovna Rada.